Jennifer Winget, who has been missing from the silver screen from quite some time now, is all geared up to do something interesting and new for her fans. Currently, The Bepannaah actress is shooting for her new project and we came across a picture where she is seen posing sensuously for the camera. Dressed in a pink dress and black boots, she is seen donning a short hair look. Well, we just can’t wait to see her again in a new avatar. 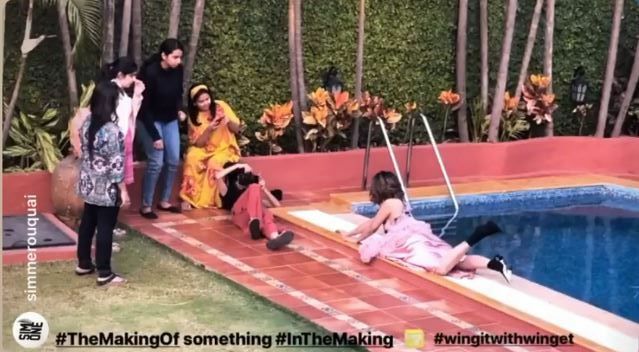 A few days back, she took to Instagram to share her picture chilling by the pool with her team Winget. Dressed in a hot red dress, she looks drop-dead gorgeous, as usual. As per the description, she is workcation with her team Winget and her team work is like a dream work. She has also shared her look from an award party wearing a pastel pink gown that highlighted her figure. The printed ensemble consisted of a dhoti skirt, crop top and a cape. Jennifer, who was accorded the Best Actor award for her portrayal of Zoya in Bepannaah, a romantic mystery drama, shared the pictures on her social media page.